Karen Wallace, 54 is a true North Norfolk local, born and bred. 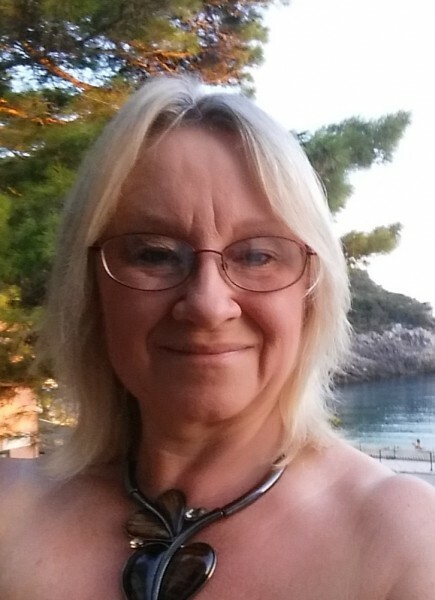 She’s lived in Caister-on-Sea for the past 11 years and has strong memories of the tourist sites she’s grown up with. She’s a bargain hunter at heart though and is determined that you don’t have to spend lots of money to have a great time. “We try to go to as many tourist attractions as we can, but I don’t like being charged extortionate entry fees as I believe there are many wonderful things to do in Norfolk for free. There are lots of lovely beaches, countryside spots and museums to visit that you don’t have to spend a fortune on. “I’ve always loved Happisburgh, it’s definitely my favourite area in North Norfolk. As a child I used to go there regularly in the summer with my friends, on my bike with a picnic to last the whole day. We’d mess about on the beach and go swimming together. “Now I’m a grandmother, I love going for walks in the countryside with my granddaughters. They especially love woods and graveyards! They love seeing local wildlife too, so we often go to Holt Country Park, Filby Broad and Rollesby Broad where they can feed the ducks and swans. Other wildlife hot-spots are Blakeney and Pensthorpe for birds, Horsey for seals, and the Broads for birds, insects and butterflies. “I like to do some educational things with the grandkids too, so I love the award-winning Time & Tide Museum in Great Yarmouth and Norwich Castle Museum and Art Gallery. We try to visit when they have special or seasonal events on, which usually happens in the school holidays. “Beach wise I couldn’t pick a favourite as all Norfolk beaches are glorious. West Runton is great for rock-pooling; Bacton for peace and quiet; Horsey for the seals and Cromer for stunning sunsets – there really is something for everyone’s tastes. Karen recently went on another educational trip with her granddaughters to the Nelson Museum in Great Yarmouth. 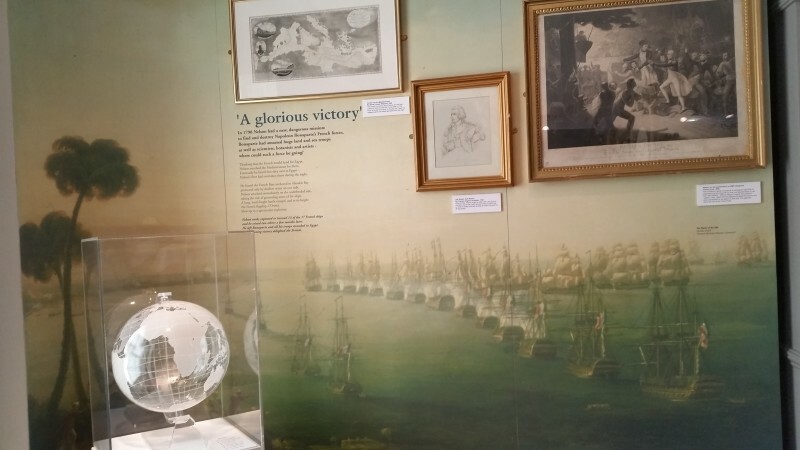 The Nelson Museum was established by Ben Burgess, a Norfolk local who had collected a variety of Nelson memorabilia over a number of years and wanted to share its history with the public. After forming a Charitable Trust to maintain the collection for educational purposes, the museum was built and opened in 2002. 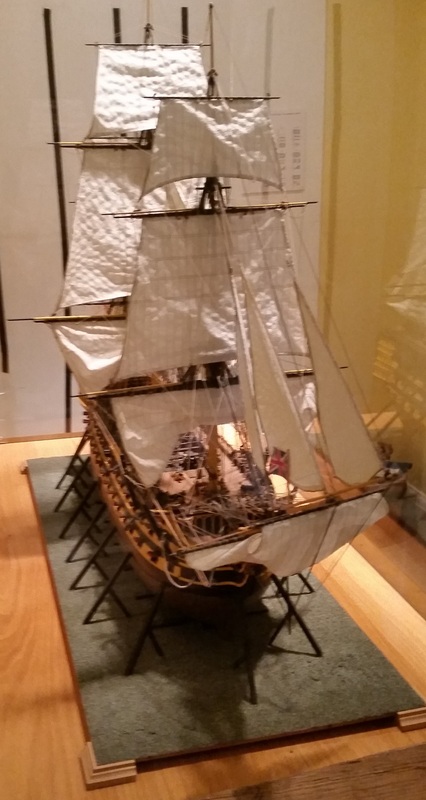 Sections are devoted to Nelson’s childhood, career, famous battles, death, life in the navy and on board ship, his personality and scandalous love life. The collection has over 2000 items, including letters written by Nelson, a first draft of a biography of Nelson’s life, commemorative material and a large collection of memorabilia. “They had lots of pottery such as jugs, cups, saucers and plates with Nelson’s picture on. There were also teapots, brass plates/plaques, coins, statuettes, models and pictures of his coffin design. “There were several paintings on the walls but the most prominent one was an oil canvas of Nelson being taken below decks after being shot, called ‘The Death of Nelson’. There was also a collection of paintings of Burnham Thorpe and the church there, where Nelson’s mother worshipped and his father was a rector, along with portrait prints, maps, charts and illustrations. “We learnt so much from the visit. We never knew just how much of the world Nelson had covered and all his many injuries – from killing polar bears in the Arctic to contracting malaria in the Caribbean. The whole museum is geared towards children, aiming to make learning about history fun and exciting. 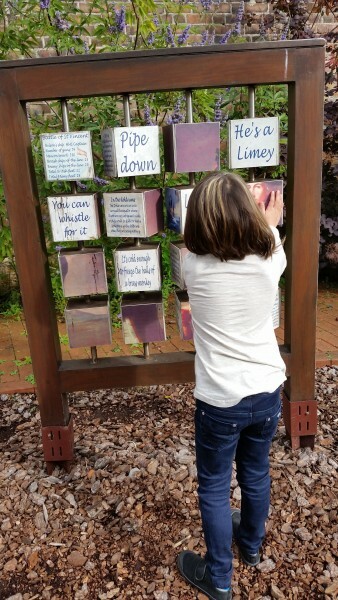 Child friendly booklets and information boards encourage them to engage and learn on the go. “It’s extremely child-friendly, with a dedicated education room with Georgian dressing-up clothes to try on, semaphore flags, various games around the museum, ropes to practise knots with, touch and feel – the list goes on! An interactive Below Decks section shows what it was like to live on board a ship with sights, sounds and smells for the kids to experience. Outside is a large Maritime play area with deck games like skittles and a walk the plank feature. The museum is run exclusively by volunteers, who are all very passionate and knowledgeable about history, and Nelson’s Georgian era in particular. “The staff were amazing. They are all volunteers and very friendly and kind. They will help with any information and fill you in with the history. “There’s a Galley tea room which sells hot drinks as well as chocolate and sweets for the kids. They also have a Maritime courtyard too with a picnic area and Georgian herb garden, which I can imagine is lovely in summer. 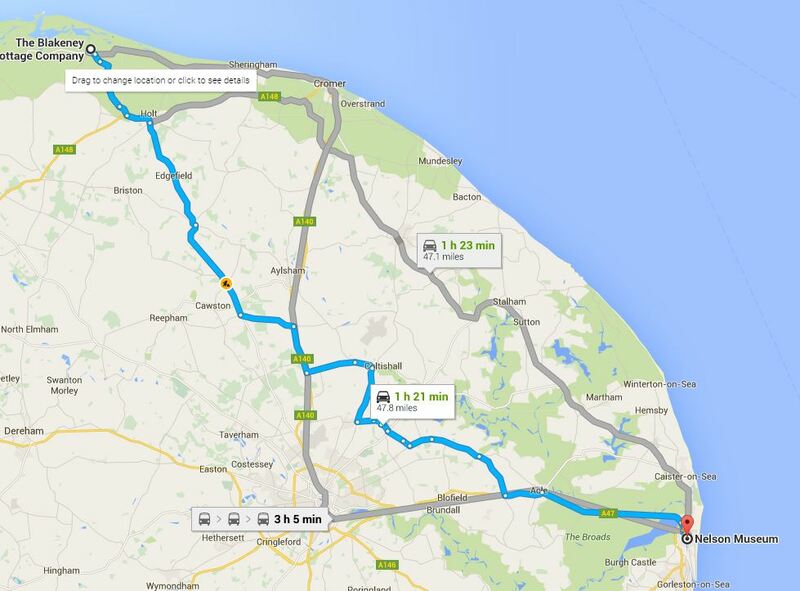 The museum is a 1 hour 21 minute car journey from the Blakeney Cottage Company HQ in Blakeney. Alternatively, there’s a bus station in the centre of Great Yarmouth with frequent local buses including the X1 service from Petersborough to King’s Lynn. It’s a 10-15 minute walk from the bus station to the Nelson Museum.